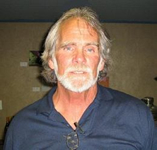 Michael Shea is the World Fantasy Award–winning author of Nifft the Lean as well as many other novels and short stories. Recent releases include the collections The Autopsy and Other Tales and Copping Squid. Michael is currently writing The Siege of Sunrise, a sequel to The Extra. Michael Shea’s website. Nifft — (1982-2000) Publisher: Nifft the Lean: Winner Best Novel, 1983 World Fantasy Award. Follow the adventures of Nifft the Lean, the master thief whose felonious appropriations and larcenous skills will lead you through Stygian realms to challenge your most lurid fantasies and errant imaginings. Places where horror, harm and long eerie calms flow past the traveller in endless, unpredictable succession. Travel with the man whose long, rawboned, sticky fingers and stark length of arm will lead you down to the vermiculous grottoes of the demon sea, to stand beneath the subworld’s lurid sky and battle monsters who seem the spiritual distillations of human evil itself! We invite you to the very gates of Hell and beyond — come if you dare! Back in 1950, Hillman Periodicals published a little book for 25 cents called The Dying Earth by Jack Vance. It could easily have disappeared into obscurity like thousands of other books, but there was something special about it. There weren’t any other books in SF/Fantasy quite like it, depicting an incredibly distant future earth where the sun has cooled to a red color, the moon is gone, and humanity has declined to a pale shadow of former greatness, and struggles to survive amongst the ruins of the past. 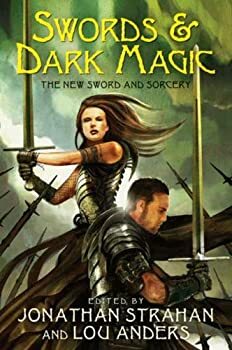 The world is filled with magicians, sorcerers, maidens, demons, ghouls, brigands, thieves, and adventurers. 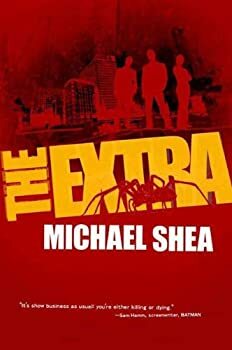 The Extra — (2010-2013) Publisher: Books and films have skewered Hollywood’s excesses, but none has ever portrayed one man’s crazy vision of the future of big action/adventure films as The Extra does. As over-the-top as Mel Brooks’s Blazing Saddles, as savagely dark as Robert Altman’s The Player, and more violent than Rollerball, this is the story of the ultimate, so-insane-it-could-only-happen-in-Hollywood formula for success, a brave new way to bring the ultimate in excitement to the silver screen. Producer Val Margolian has found the motherlode of box-office gold with his new “live-death” films whose villains are extremely sophisticated, electronically controlled mechanical monsters. To give these live-action disaster films greater realism, he employs huge casts of extras, in addition to the stars. The large number of extras is important, because very few of them will survive the shoot. It’s all perfectly legal, with training for the extras and long, detailed contracts indemnifying the film company against liability for the extras’ injury or death. But why would anyone be crazy enough to risk his or her life to be an extra in such a potentially deadly situation? The extras do it because if they survive they’ll be paid handsomely, and they can make even more if they destroy any of the animatronic monsters trying to stomp, chew, fry, or otherwise kill them. If they earn enough, they can move out of the Zoo–the vast slum that most of L.A. has become. They’re fighting for a chance at a reasonable life. But first, they have to survive . . . In The Extra, a near-future science fiction novel set in a dystopian version of Los Angeles, Val Margolian is the creator and most successful director of a new genre of action movies, in which crowds of real people are cast as extras and have to defend themselves against movie monsters. The action is real, and so are the deaths. Whoever manages to kill one of the monsters, and anyone who survives the shoot, gets a huge cash reward. Naturally, with rampant poverty in LA, the expression "cattle call" takes on a whole new meaning, with thousands of people applying to become cannon fodder for this new blood-thirsty form of entertainment, and only a small percentage surviving with enough cash to move out of the urban jungle and on to a better life. A Quest for Simbilis — (1974) Publisher: Set in the world of Jack Vance‘s Dying Earth. A Quest for Simbilis is a sequel to Jack Vance’s The Dying Earth, but is so highly original that it is no mere pastiche. Shea later applied his talents to Nifft the Lean, which won him the World Fantasy Award. In Yana, The Touch of Undying — (1985) Publisher: Wealth, power, fame couldall be his… or he could sacrifice it all for the secret of Yana. Polyphemus — (1988) World Fantasy Best Collection Finalist. A collection comprising: “The Autopsy”, “The Angel of Death”, “Polyphemus”, “Uncle Tuggs”, “The Pearls of the Vampire Queen”, “The Horror on the #33”, and “The Extra”. Copping Squid and Other Mythos Tales — (2009) Publisher: Rocked by the gentle sea, the City sleeps; but its dreams are not its own… With eight psychotropic visions of damnation and transformation in the urban coral reef of San Francisco, COPPING SQUID forms a mosaic of otherworldly menace shot through with glimpses of awe-inspiring majesty: of invisible outsiders and self-medicating seekers whose desperate prayers and hidden rituals lead them to behold their alien reflections in the all-seeing eyes of the secret masters of creation. With the deceptive ease and streetwise enlightenment of a weird storytelling master, Michael Shea fearlessly sounds the unplumbed depths of the Cthulhu Mythos to witness visions from which traditional cosmic horror has always averted its dark-adapted gaze. CLICK HERE FOR MORE BY MICHAEL SHEA.